Once again the Jenison community came out in droves to support those in our community surviving and thriving in the face of breast cancer. Eight Jenison women in different stages of their fight were honored in a gym that was filled to capacity with supporters and fellow fighters. The women’s basketball team kicked off the athletic festivities in what seemed like it would be a dramatic come-from-behind victory against Lowell. But, despite a win not being in the cards for the women, it was still a great day to be a Wildcat! Count your blessing, not your worries. Express your feelings honestly. Learn to laugh and laugh to learn. Endure what is necessary. Be open and flexible. Remain in charge, networking with family and doctors. Accept and face your own mortality. Treasure each day and each experience. Exercise your mind body and spirit as you are are able. They were all introduced to the crowd and walked across the bridge with family members by their side. Some of them were very recently diagnosed and facing the journey ahead while other honorees are survivors with cancer in their rear view mirrors and words of encouragement for those around them. Their introductions also gave them the chance to say “thank you” to friends, coworkers and family members for their love, meals, fundraisers and prayers. 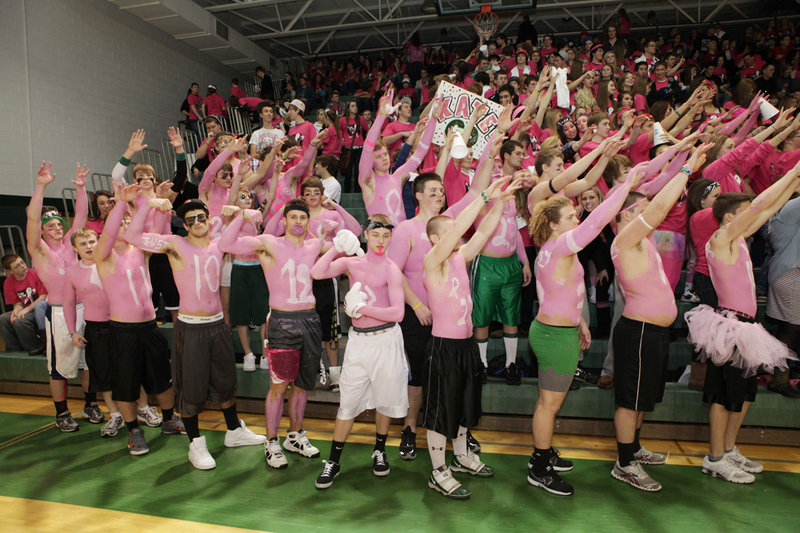 Other highlights from the entire Pink Out event included: the Jenison JV and Varsity Dance Team performing to “Count on Me” by Bruno Mars, pink ice at the varsity hockey game, a raucous high school assembly at the end of the school day and, of course, a sea of pink everywhere you looked throughout the district. A special “thank you” to the Lowell community as well for sharing in our special day and we tip our hats to your Pink Arrow event during football season! Thank you to all of our volunteers, sponsors, supporters and of course, our honorees, for making this event such a special day for the district. And remember, no matter where you are on the journey you can Count On Me. We Are Jenison! 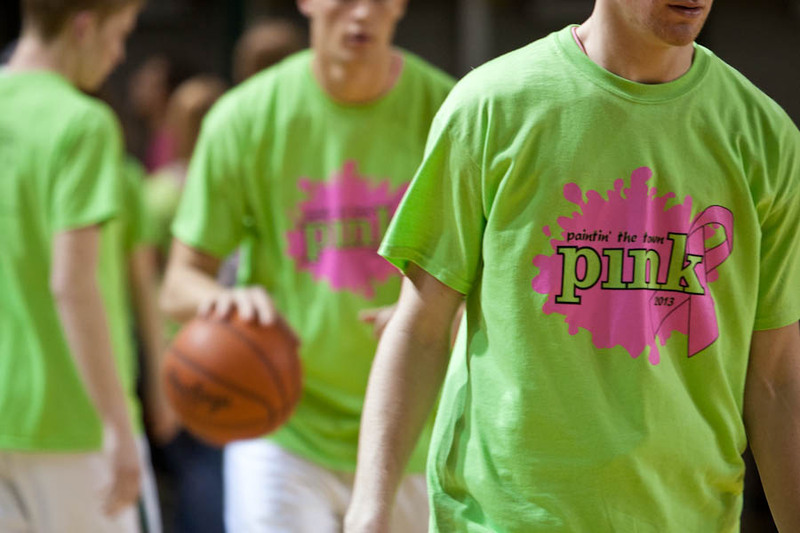 A week ago Jenison had the privilege of hosting our 4th annual “Puttin’ On The Pink,” an event which calls attention to breast cancer and recognizes those whose lives have been affected by the disease. I could not be more proud of our community for standing alongside these women as they walk through trials, recover from illness, and remember those whose lives were stolen too soon. 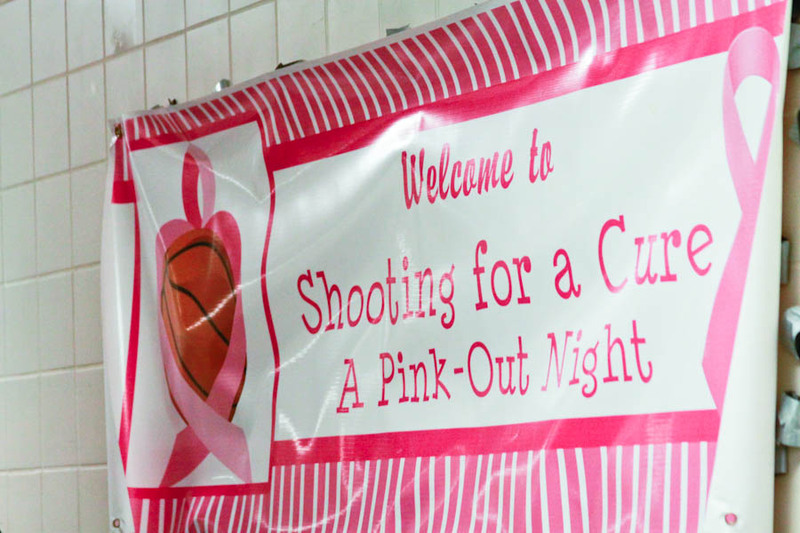 Held during a varsity boy’s basketball game, one of the evening’s highlights occurred during halftime when eleven local breast cancer survivors were honored, including Brenda Huyser (pictured above with her mother Vicki Postema). Tributes were spoken and memories that were shared by family members touched us all. 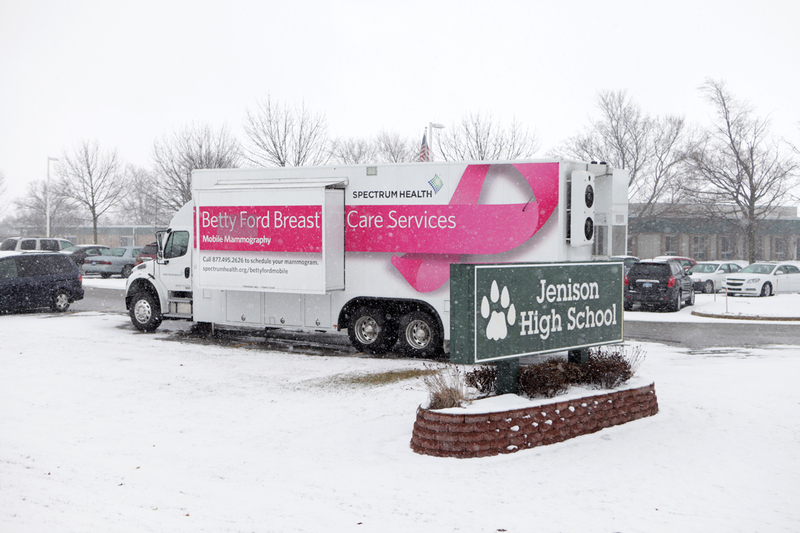 To raise awareness and promote prevention, the Betty Ford Breast Cancer mobile mammogram bus was on hand offering free mammograms, something many women forego due to the related expense or lack of insurance. 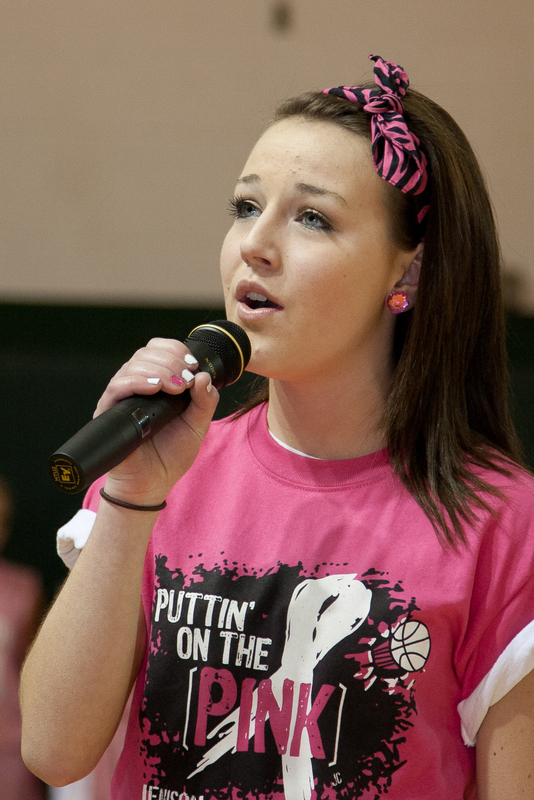 We enjoyed the amazing talents of student Katie Bosch who sang “I’m Going To Love You Through It All”; we spent the night cheering for our team on the court. Furthermore, I’m delighted to report that our generous Jenison community raised $30,000 during this event!! All proceeds will go to local families in need who are currently walking through the difficult waters of cancer. It is our joy to encourage you! At the end of the night, our hearts were pink and tied with the ribbon that reminds us all how precious life is. 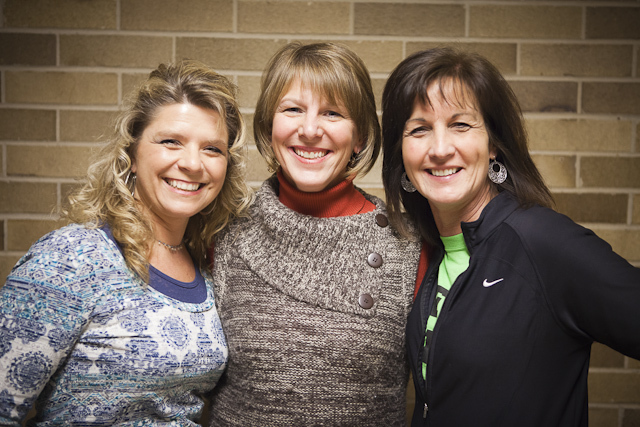 Our sincere thank you goes out to the more than 20 Jenison business owners who supported this night, and of course, the Jenison women (below) who planned our event: Moni Marlink, Katy Hevelhurst, Cyndi Covell, and Carla Trammell (not pictured). We couldn’t have done it without you!